Coming this week is Shavuot! The revelation of the Light of the Torah. It is referred to as Matan Torah, which means "Gift of the Torah". Nowhere in the Torah or the Prophets or the Writings or most of the writings of the Sages does it refer to the receiving of the Torah. Why? This is also the first of six weeks that have the illusion that there is a difference in Torah Readings between the Jewish Nation inside Israel and Outside Israel. This is caused on the physical world by a Shabbat that is a second day of the Shavuot Holiday that is not observed in Israel because inside Israel there is no need for a second day of Chag. During these six weeks my letter will have messages covering both readings. You may need to reread the appropriate message for the reading you are experiencing. Shabbat Shavuot reads 48 ?? Verses. This spells the word Brain or another meaning is Marrow (Bone).In reverse it spells father in law in Aramaic and hot in Hebrew. It also is the Name of one of the three sons of Noach. These verses are from the portion of Reah. I suggest you read my letter on Reah as well. One of the inner essences of Reah is "the absence of distractions". To explain this briefly. the negative force called Satan was given a job to do. That is to distract us from our spiritual work. He is not supposed to and does not want to win the battle between Good and Evil - just distract us and as a result lengthen our spiritual process. What is Shavuot about? It is the gift of the tools of Torah that allow us to overcome these distractions. The essence of these 48 verses is to eliminate the distractions of the Satan. Use the Night of Shavuot and the Torah Verses you hear Friday and Saturday morning to acheive this result. NO DISTRACTIONS! This is one of the spiritual lessons taught in the Portion of Naso read this week. Naso means "to take". It is usually translated in this verse as "count" but that is not correct. The verse actually says "Take the Heads of the Children of Gershon". Many people see this as a Biblical usage but one can look at the name Gershon and realize its Shoresh or root is Gimel Resh Shin ??? which means "To Exile", "to cast up", or "to drive away". the verse is actually saying "take the Heads of the Children to Cast Up by Their Fathers Houses with their Families." Of course one can see why the Translation does not follow this sense of the verse because most people can not explain it without the wisdom of Kabbalah. This verse is saying, in my opinion, Take the children and educate them to the level of the previous generations. How does one raise the spiritual level of the generation? By teaching them How to get close to HaShem. By teaching those who wish to be closest to HaShem to connect to their intuitive side and utilize the techniques of the Prophets to reach the highest possible level of consciousness. There are 176 verses in the Portion of Naso. This is the largest Portion in the Torah. The code words the Sages have given us are ???? (loaded or packed) and ?????? (donate my people). Both of these hint at the message in this Portion. The item most commented about in this Parasha is that the Torah lists 6 verses for each Tribe describing the offering that each Tribe Leader brought at the Dedication of the Mikdash in the Desert. Yet each of these dedication and offerings are exactly the same in content and size and number. So what gives here? There is a midrash that explains the consciusness of each Tribal Leader and how the item Size and Number is different because each Tribal Leader had a different consciousness. The Truth (which Science is beginning to reveal) is that Everything is the consciousness of HaShem. Our actions are different when our consciousness is different. We may pray day after day the same prayer, the same request, yet each prayer is different because our consciousness is different. Even if we think our consciousness is the same the fact that the prayer/request took place at a different time or place makes the request different. We can teach a child not to do something we know will hurt them by spanking them. One time we do so with the consciousness of helping the child. This is a positive act just like the Blessings from Last Week's Parasha. Or Has Ve Shalom we can spank the child because we are tired and just want him/her to be quiet. This is the curses from Last Week. The child will learn the same thing from the spanking. We will reap a different effect in our life. Isn't it better to reap a positvie result? change your consciousness. This is the major lesson in this portion which starts by teaching us to cast up our consciousness and continues when it gives us the offerings of the Tribal Leaders and teaches us that consciousness controls the effect of our actions. The Tribal Leaders Offerings are important in another way. They represent the relationship between the Tribes and the Astrological influences. The Rabbi's teach that Ain Mazel Israel. Rashi says that this means if Israel prays from thier Heart with Passion they can rise above the Astrological influences and change their effect. it does not mean that Jewish People are not influenced by Astrology. 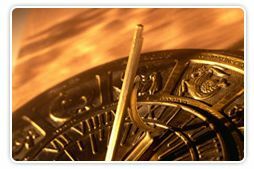 The Kabbalah Teaches the following about the Astrological influence of the Tribes and their Corrections: Please note that the following is not a complete Astrological Analysis as it relates to Tikune - Correction. Nissan - Yehudah - Aries: An Aries needs to reduce ego and learn self control, to be patient and not impulsive, to think and analyze before he or she acts. Iyar - Issachar - Taurus: Let go of materialism and physicality, to be flexible rather than stubborn, to resist comfort and ease of life. Sivan - Zevulan - Gemini: Remove doubt and uncertainty, to find one path and stay with it. Tammuz - Reuven - Cancer: Needs to become less emotional, to take their own initiative rahter than be needy and dependent on others because they become vulnerable through their dependency. Av - Shimon - Leo: Ego Control and to Humble Themselves. Elul - Gad - Virgo: Let go of judgment and criticism; Look inward at their own actions rather than outward towards others. Tishrai - Ephraim - Libra: Search for Balance in Life; Limit giving to or pleasing others; Harmony from the Universe is the Goal. Cheshvan - Menashe - Scropio: Learn Self Control; Limit thier extreme emotions jealousy, negativity, holding grudges, and acting from fear while in Crises. Kislev - BenYamin - Sagitarius: Become a channel for the Light; avoid others doing their work (which they find easy to make happen). Be More serious and limit the potential for addictions to drugs and gamling. Tevet - Dan - Capricorns: Break outside the Limits of their 5 senses; Trust the Light and not rely on the physical world. Shvat - Asher - Aquarius: Not act upon their impulses to break rules, this will allow them to reveal Light through being a channel for new ideas and revelations. Adar - Naftali - Picses: limit their tendency to be weak, to go along with the flow is not good for them; Not to follow thier desires to become addicted. Are you interested in learning more Hidden Wisdom? This link will bring you to the mp3 files for the first classes of Spiritual Laws. Feel free to download them, listen to them, and forward the link to your friends and family! If you are interested in Participating in the class click here to find out how! SPIRITUAL LAWS and How to use them in Your Life!